Our Oracle practice makes a positive difference to customers by helping them align their businesses with the latest in Information Technology (IT). We deliver superior projects, IT and business values to customers. atom deliver successful global engagements of varying sizes, and complexity. Our engagements range from simple transactional projects to large transformational engagements across industries and regions. Our relationship and ability to collaborate with Oracle across the globe and the strong relationship with product development teams helps us gain early visibility into the Oracle product or technology roadmap. Early access to new products and technologies helps us in accelerating development of new preconfigured solutions, building Proof of Concepts (PoCs) and quickly demonstrating the same to our customers. In addition, our quick access to support teams helps in resolving technical or product related issues quickly before the implementation. These advantages reduce our development cycles. It helps to quickly deliver the solution enhancements, provide excellent support services, and enhance customer satisfaction. Here are some differentiators that make our Oracle practice stand out. atom’s Oracle E-Business solutions help customers invest less and expect more in terms of agility, business and IT value. Our Oracle practice has emerged as a single point contact for the end-to-end services in Oracle applications covering Enterprise Resource Planning (ERP), Customer Relationship Management (CRM), Supply Chain Management (SCM) and Business Intelligence (BI) offerings. 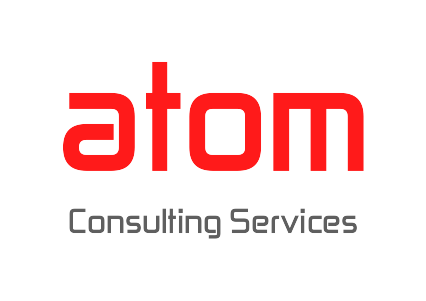 atom has one of the prominent PeopleSoft practices with global delivery expertise and an impressive portfolio of engagements delivered across North America, Europe and Asia pacific (APAC). The PeopleSoft team has a large pool of consultants with experience in providing implementation, upgrade, global rollout, application support and custom-development services to customers from key industries like Banking, Manufacturing, Higher Education, Telecom, CPG, Public Service, Oil and Gas etc. atom Oracle JD Edwards (JDE) competency is one of the prominent JDE practices in Asia Pacific (APAC) with an impressive track record of several global engagements across multiple domains. Driven by the mission to deliver end-to-end JDE solutions across multiple JDE product suites, this strong competency has executed projects for several large customers including fortune global 500 companies. Our Siebel competency provides end-to-end Customer Relationship Management (CRM) solutions with proven experience in handling full life-cycle implementation, upgrade, and support kind of projects for different Siebel versions. We have implemented solutions across verticals such as Telecom, Insurance, Pharmaceutical, Automotive, Banking, Financial Services and Insurance (BFSI), Government Sector and Retail companies. Our Fusion Middleware (FMW) competency provides a holistic set of service offerings that span the entire FMW technologies. We offer expert guidance and support across the different lifecycle stages of adoption. Delivered by our highly experienced FMW team and other application experts, these structured and comprehensive set of solutions will enable organizations to evolve to the next generation of enterprise architecture with Oracle Fusion Middleware (OFM) as the technology foundation. Our Oracle Transportation Management (OTM) practice provides customers with robust and flexible transportation management solutions that enable customers to transform their transportation function from expenditure into a competitive advantage. We provide business and IT solutions in core logistics areas, including transportation and warehouse management. We help customers improve operational efficiency and execution agility, to realize quick and sustainable Return on Investment (ROI). With our OTM solutions, customers can invest less and expect more in terms of agility, business and IT value. Our Oracle Retail competency has a successful record in providing solutions to different segments of retail industry including fashion, grocery and hard lines. Our expertise helps retailers in creating a unified view of their information, from in-store operations to corporate strategy to supply chain and logistics management. With innovative solutions and global delivery expertise in Oracle Retail solutions, we make customers interact consistently across multiple channels and enables retailers to adopt the best functional and business practices. Apparel xPress, is a solution for fashion retail stores, and plugs some of the gaps in the standard features of Oracle retail solution. It is targeted at large fashion retail chains with operations spread across geographies. This solution caters to start-up/emerging and small size academic institutions in streamlining processes such as admission/recruitment, enrollment/registration, teaching/learning etc. Campus xPress is also available as a Cloud-based solution. Logistics xPress is a rapid implementation solution designed to deliver the power of Oracle Transportation Management to load brokerage businesses in the fastest way possible while causing least disruption to existing operations. Pre-configured solution includes agents, rate structure, workspaces, user roles, screen sets and menus etc. This solution makes Agile Product Lifecycle Management (PLM) application available on iPad for users of Agile. Users can access Agile application while on the move and ensure that they are able to perform important functions and be more efficient. This solution helps organizations realize value through Oracle E-Biz R12 / PeopleSoft upgrade and enable them to extract maximum value from new and existing Oracle investments. It helps organizations balance business expectations and technology considerations during upgrade. Tangential Services-Includes a range of services such as Testing, User Training, Documentation and Change Management etc. The OTM application extension ‘Fiscal Operational Regulatory Compliance for Emerging economies’ drives expansion of Logistics platform to new geographies. Implementation xPress encapsulates best practices from implementation experience with Telecom customers all across the world using Predefined Frameworks, Business Processes and Integration Adapters to standardize Oracle EBS implementation process. It is well suited to reduce risk, enable faster ERP implementation and quicker value realization for customers planning new ERP implementation or launch of a new line of business.